A Minnesota American Indian scholar's remarks that the Dakota people might have to reclaim lost tribal lands "by any means necessary" has drawn the scrutiny of federal authorities. Waziyatawin, a professor of indigenous history at the University of Victoria in British Columbia who used to go by the name Angela Cavender Wilson, told students that it's time for American Indians to abandon symbolic demonstrations. Truth-telling efforts haven't achieved anything, she said, according to a recording of the speech obtained by the Winona Post. "We're going to need to take a different kind of action," said Waziyatawin, who grew up on the Upper Sioux Reservation in southwestern Minnesota. "All of you are going to have to figure out your role. For Dakota people, I know we're going to need to recover our land base, by any means necessary." In an interview, Waziyatawin said her lecture was not a threat to commit violence as some have suggested. But she admits she's no pacifist. An author of books on Minnesota's history of oppressing, and then exiling, the Dakota people, she said removing people from their comfort zone is her job. But in Winona, some students were shocked when Waziyatawin told them that anyone committed to achieving true justice might have to go on attack. When someone in the audience asked whether that could happen without violence, Waziyatawin said she was doubtful. "Right now, for Dakota people, we're going to need to reclaim land. We need to strategize about how we're going to do that, whatever it takes, and those are conversations we have that are internal to Dakota communities," she said. "But in terms of dismantling industrial civilization, I think that can happen in any variety of ways, and I think that's going to be about attacking infrastructure." Fourth-year student Nick Benike, who attended the lecture, said what he heard scared him. "I think she was telling us she is willing to be violent -- and that it's inevitable it will happen. It's just as a matter of when," Benike said. In a letter to the editor of the Winona Post, Benike praised the first half of the lecture, saying Waziyatawin drew in the crowd with details of how her ancestors were forced to march many miles to Fort Snelling, where they were interned after the Dakota War of 1862, and then banished from the state. But Benike said dozens in the audience walked out after the professor told them white Minnesotans would still likely choose to exterminate the Dakota if given the same choice today. His letter spurred about a dozen others, including one from Dakota tribal leaders condemning Waziyatawin's remarks. Benike said the FBI soon called him at least three times for more information. One of the tribal leaders, Roger Trudell, chairman of the Santee Sioux Tribe of Nebraska, did not return phone calls seeking comment. Waziyatawin was unapologetic, and said her words are being distorted. She said the world is heading toward an economic and environmental collapse, as industrialized nations become more dependent on a limited supply of fossil fuels. As this way of life comes to an end, she said, native people must recover their homelands for food and survival. "Never have I said that Dakota people should go out and kill people, or kill white settlers, or kill all white people because we hate them," Waziyatawin said. "That is definitely not my message, and I think that's the way my words get construed." She said the audience misunderstood a crucial part of her address. "When I'm talking about there will undoubtedly be violence, I'm talking about violence against the Dakota people by the state, if we work toward justice," she said. However, she does not rule out violence as a form of resistance. Waziyatawin wouldn't say what she meant by suggesting an attack on infrastructure. The 42-year-old historian received her doctorate from Cornell University, and she's never shied away from the limelight. She was arrested three times during demonstrations at the 2008 Minnesota sesquicentennial celebration, during which activists blocked a commemorative wagon train en route to St. Paul. The charges were eventually dropped. Over time, she became, as she put it, "radicalized," when she realized the demonstrations weren't bringing about change. "When you're banging your head against the wall, using the same method, you're going to kill yourself doing that, or you're going to have to look for other strategies that are perhaps more serious, more risky," she said. Waziyatawin said she advocates for a number of "decolonization" strategies for indigenous people, including moving back to the land, arming themselves, and defending the land at all costs. Her first experience with the FBI came Monday with a phone call from an agent in the the Mankato office. "He said he'd heard about my presentation in Winona, and as an agent of the United States government, he was concerned about national security," she said. Waziyatawin said the phone call ended after she referred the agent to her attorney. FBI officials would not comment or confirm an investigation. Last year, the FBI raided the homes of several Twin Cities antiwar protesters, raising questions about First Amendment rights. But search warrants issued in the case indicate authorities are interested in whether the activists have ties to foreign terrorist organizations, not their peace demonstrations. Authorities won't have to look far to learn more about the woman formerly known as Angela Wilson. She is working on a sequel to an anthology known as the "Decolonization Handbook." 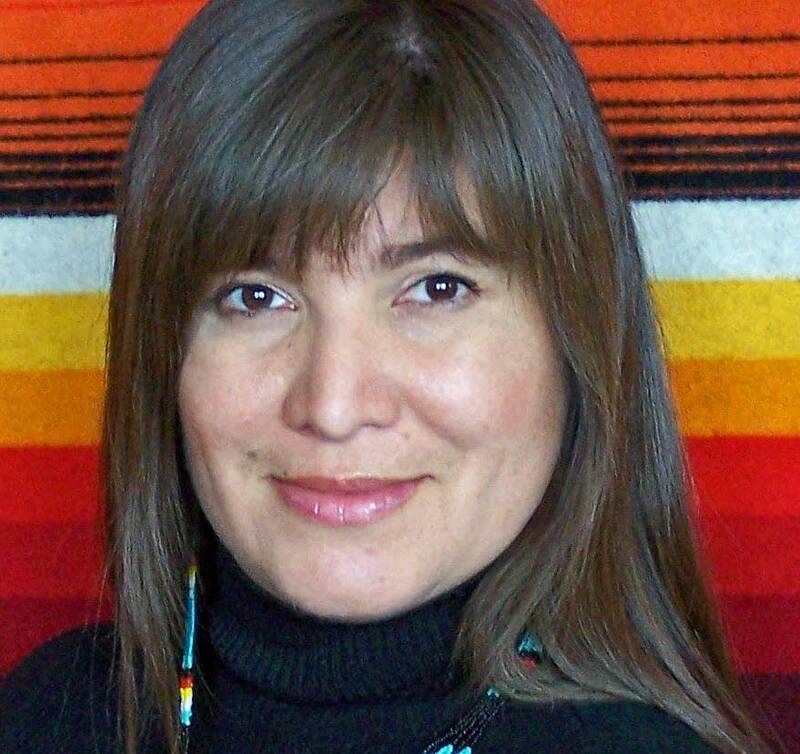 Waziyatawin's chapter will spell out her action plan for indigenous people. One of the professors who invited her to speak, Colette Hyman, said she stands by her decision to bring Waziyatawin to Winona. "My students who attended and wrote papers were intrigued, were interested, found it challenging," said Hyman, a history professor at Winona State. "They were uncomfortable, certainly, but that's part of learning." Winona State University hasn't taken a position on Waziyatawin's remarks, saying it has adopted a policy of promoting an "intellectually open campus."